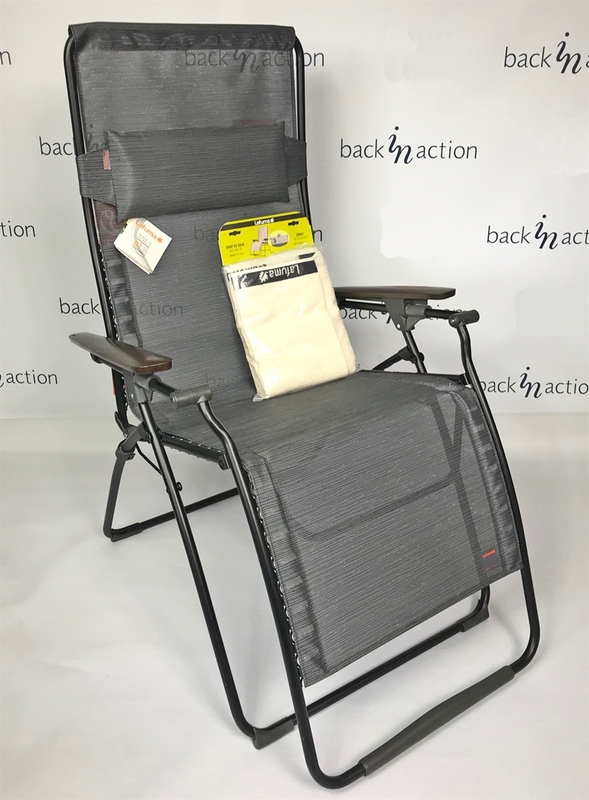 Lafuma is world renowned as a quality manufacturer of outdoor furniture and equipment, specialising in combining strong fabrics with lightweight frames. Lafuma use only the highest grade components in the manufacture of their products. This creates furniture that is as luxurious and relaxing to use, as it is pleasing to look at. 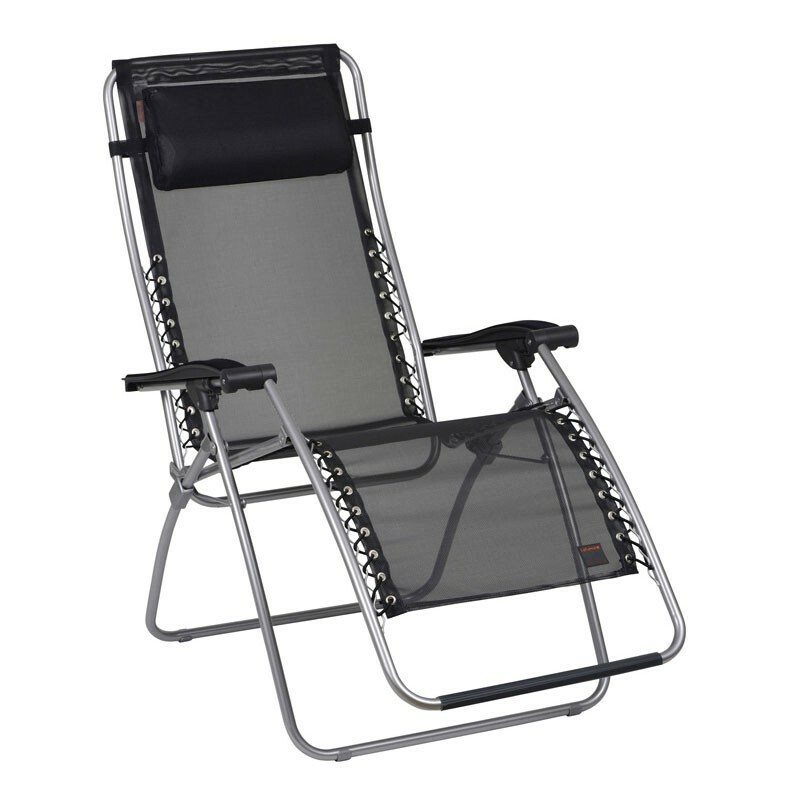 Its innovative garden recliners are all lightweight, effortlessly foldable and easy to store, making them perfect for those on the move. For extra comfort we've discovered the headrest doubles as an excellent lumbar support! Add your lumbar below. The Lafuma Futura features the patented and original Lafuma 'Relaxer' system, which can be reclined into an infinite number of positions whilst remaining totally stable. 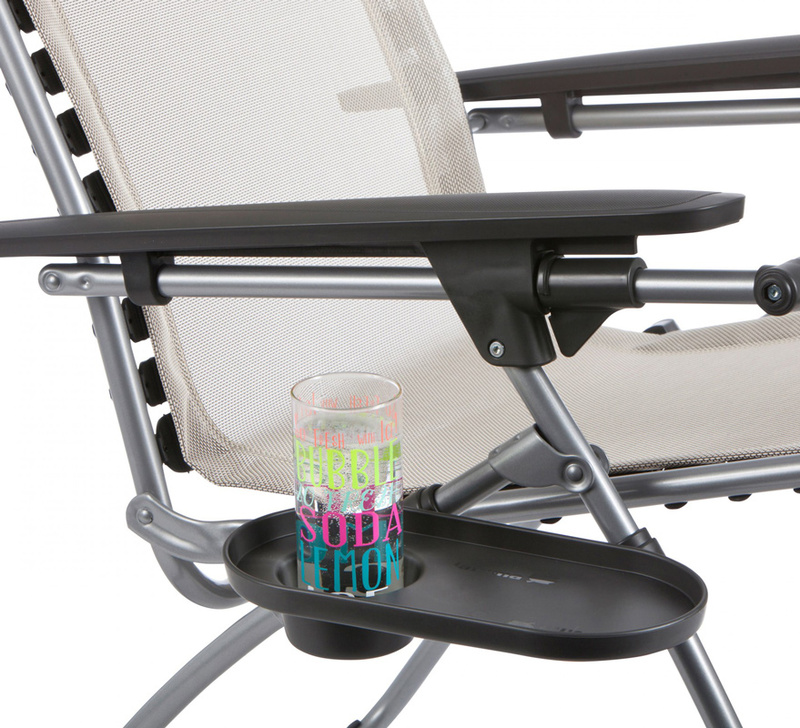 This cup holder tray is the essential accessory for keeping your drink close at hand. It fits all our relax models as well as the Low Elips and Cham'Elips. 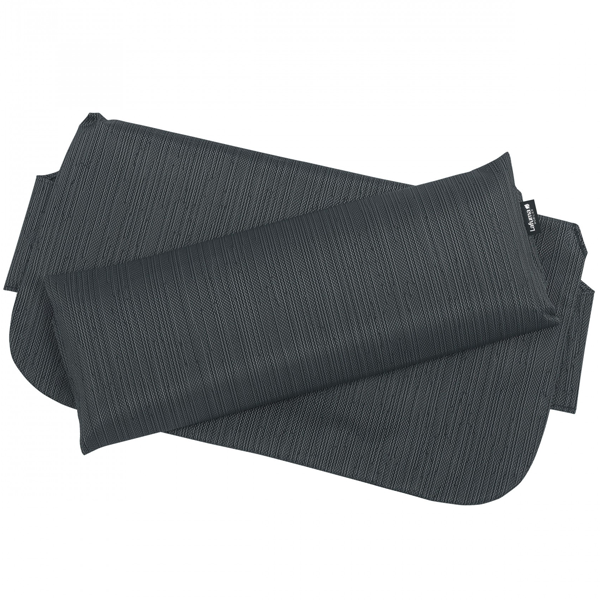 Ideal for additional comfort and protection of the canvases for any Lafuma recliner. 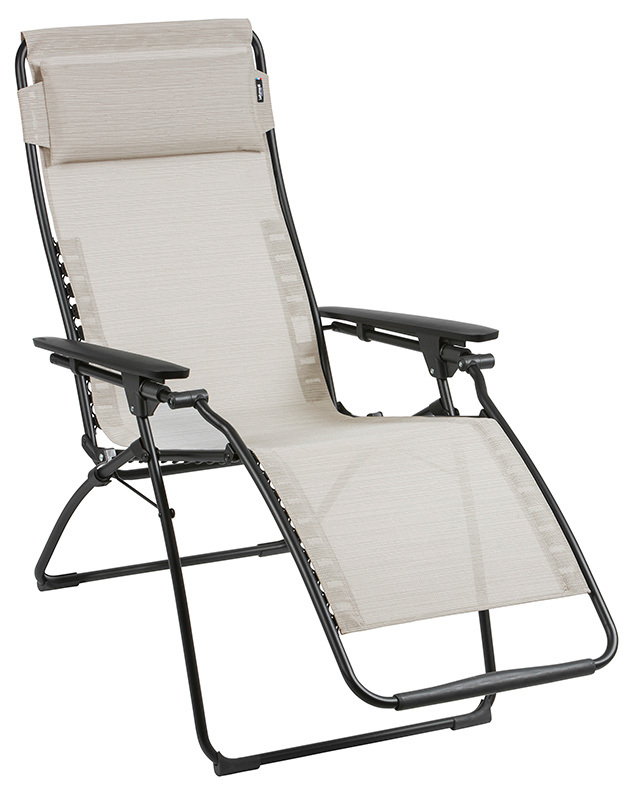 The towel fits securely to the chair using a pocketed hood so it will not slip down. The towel also has three storage pockets on the back behind the head area, perfect for books and magazines. 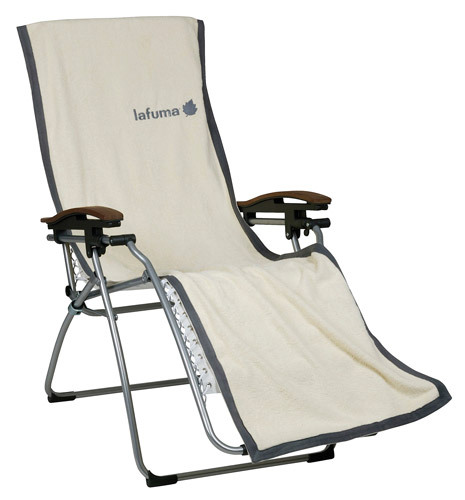 Additinal neckrest/lumbar support for the Laufma Reclining Chairs.